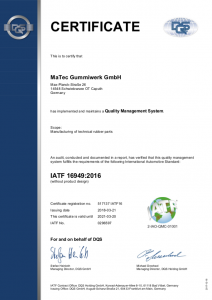 IATF 16949 is based directly on ISO 9001 and unifies worldwide automotive industry quality management system demands. The certification is a pre-requisite for approval as an automotive supplier and includes the overall automotive industry supply chain. We’ve measured up to this responsibility: We were audited in April 2006 and successfully passed all the re−audits. 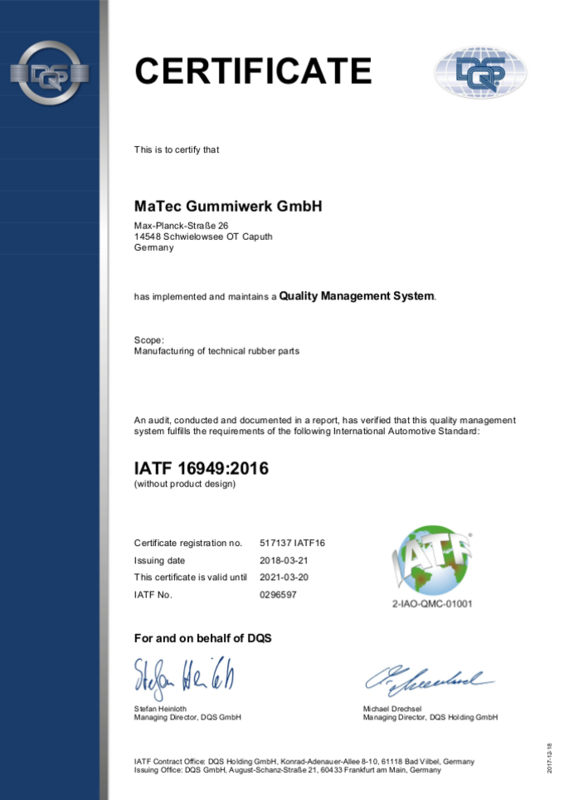 Since 1995, we have been continuously certified according to DIN EN ISO 9001 and have also used certain parts of QS 9000 and VDA Bd. 6. 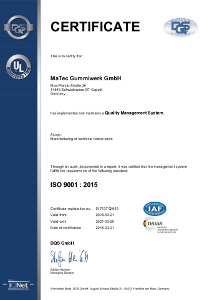 Many audits by well-known customers have been successfully carried out. This has resulted in MaTec being classified as an A-grade supplier in many cases.